The only worthwhile custom option in the 2018 Mac mini is 10Gigabit Ethernet at $100. This 10GbE port is beneficial for accessing high-performance NAS. This alleviates the biggest pain point of the Mac mini, the internal soldered flash storage. Storage is the most over-priced to option through Apple. At 22 Gbps external Thunderbolt 3 NVMe SSD yields very close performance to the internal flash drive. USB-C 3.1 gen 2 is another external storage option that’s more affordable than Thunderbolt 3, but is limited at 10Gbps speed and taxes the CPU. From a service provider perspective, I have serious concerns about the lack of solutions for data recovery. The 2018 Mac mini has this same potential with third-party component upgrades externally through its four Thunderbolt 3 ports. While they are capped at x4 PCIe 3.0 connection, many PCIe components don’t saturate this amount of bandwidth. External GPU and NVMe SSD are the exception. One of the more unique Thunderbolt 3 expansion enclosures is the AKiTiO Node Duo. As the name implies it has dual PCIe slots. In my review of this AKiTiO enclosure, I paired a whole mix of PCIe components alongside the eGPU. 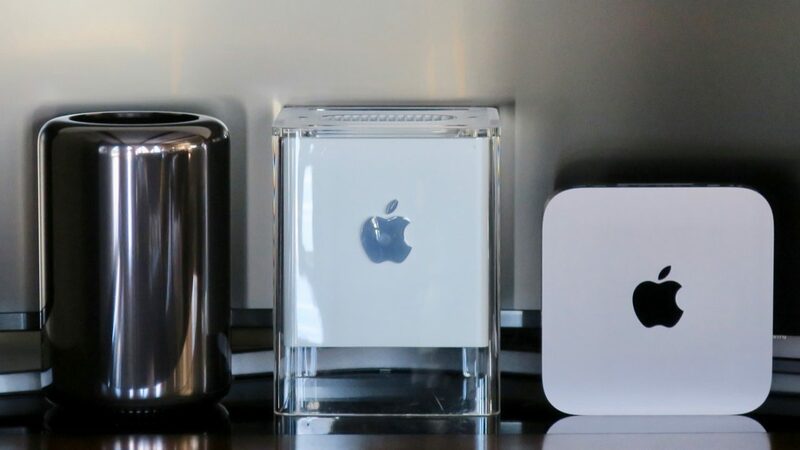 The upgrades this 2018 Mac mini needs the most are a high-capacity NVMe drive and a powerful graphics card. Well, it’s a match made in heaven when I set the Mac mini on top of the Node Duo. It’s as if this is now a Mac mini Pro with PCIe slots accessible through Thunderbolt 3 ports. Instead of spending $600-$800 to configure a Mac mini with 1TB internal storage, I was able to get an RX 580 eGPU (~$200), 1TB NVMe SSD (~$150), and TB3 enclosure (~$350) for roughly the same cost. It doesn’t stop there. The four Thunderbolt 3 ports can allow many more upgrades. A Thunderbolt 3 audio interface such as Universal Audio Arrow is an example. If your Mac mini didn’t come with 10GbE port, you can always get a PCIe 10GbE card and achieve the same result. Last but not least is Thunderbolt 3 monitor output for LG UltraFine 5K owners. I tested this theory by using a Gigabyte Alpine-Ridge Thunderbolt 3 add-in card to feed a pair of DisplayPort streams into the AIC then power the a 5k monitor through a single Thunderbolt 3 cable.